Tomorrow will be the Test Day for another 3 papers; Listening, Reading, Writing. Have you got everything ready? Here, I'd like to share with you some DOs and DONTs for you, especially to my beloved MUET candidates from Pusat Tuisyen Prima. 1. 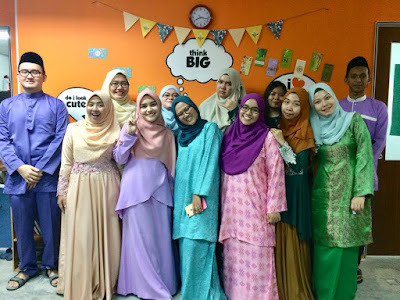 Get your MUET Exam Slip ready, and bring it on the exam day! 3. Stationary; make sure you have enough pens, pencils, correction tape & eraser. I personally prefer correction tape than the liquid form cause it's way more convenient. 4. Get enough sleep before Exam Day!! Some other additional info that I'd like to share would be..
1. Dress appropriately on the exam day. Smart Casual, with covered shoes. Gentlemen, put on any collared tops. Ladies, please put on your best smart casual outfits. 3. Arrive early; minutes before the scheduled time. Especially for the Listening Test. If you happen to arrive late for Listening, the tape won't be played for another time, or rewind just for you or whatsoever. So, be punctual! or early. If your Exam Centre happens to be quite further from your location/house, do plan your journey to avoid any mishap. 4. For Written Test (Listening, Reading, Writing); time gap between papers is not that long. So, make sure you have enough drinks to stay hydrated, perhaps some buns/breads to snack on. I'm so going to miss yall terribly! I hope you are all set for your test. Keep yourself calm. Don't be panic. take your time to listen everything during the Listening Test, and try to jot down whatever necessary. On the second round of Listening, stay calm. Check again your jotted notes and questions. Answer all questions BUT don't forget to READ EVERYTHING right after you finish answering. Make sure all grammar rules are intact. 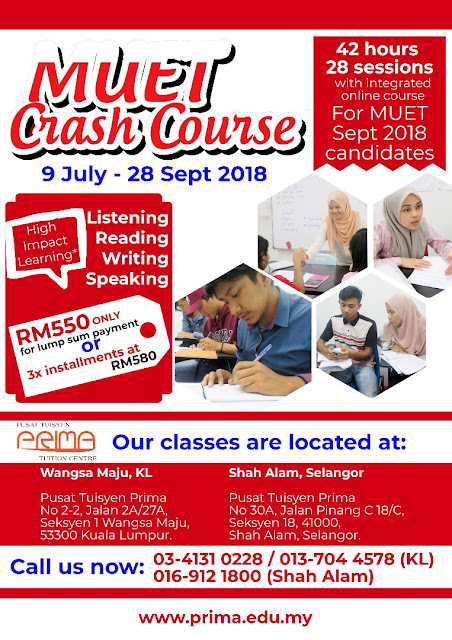 And I also would love to take this opportunity to call out all MUET candidates Session 3 2018 to join our MUET Crash Course. You will be exposed with tips, technic/skills and tricks to score your MUET papers.